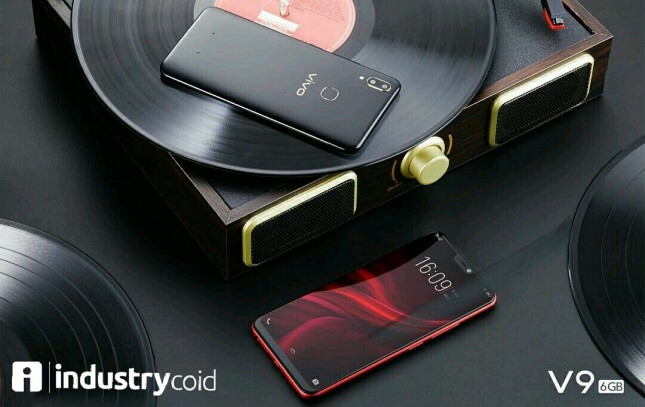 INDUSTRY.co.id - Jakarta - Being a lifestyle complement, various features on smartphones such as design, camera, and kitchen runway, continues to evolve to provide comfort for the user. Understanding these needs, Vivo re-launched its new V-Series for Indonesian consumers, the 6GB V9. Comes with more excellent performance and fullView FullViewTM Display full sail design, camera technology is also enhanced with additional features, namely Dual Pixel sensor technology that is integrated with AI (Artifical Intelligence) technology. Dual Pixel sensor technology embedded in the front camera or selfie camera V9 6GB adds the ability to focus, as well as sensors that are more sensitive to light. With this, the image will remain detailed and sharp, both in the day and night; and when the minimum lighting conditions or back light. In addition, the Vivo V9 6GB front camera also enhances autofocus capabilities while taking pictures. Not only quickly and accurately determine the focus when taking pictures, support 24 million photographic units in the 12MP camera also keeps it working optimally. Selfie Camera as well as Dual Rear Camera vivo V9 6GB is also supported AI technology or smart camera for the convenience of start taking pictures, access the image in the gallery with AI Image Identification, to editing with more new filters on 6GB V9. For the rear camera, the Vivo V9 6GB is supported with 13MP + 2MP Dual Rear Camera which provides various modes such as HDR to capture more detail images with high contrast, as well as professional mode with Ultra HD feature inside. AI technology on the 6GB V9 with support for Snapdragon 660 AIE processor is getting smarter and adds convenience for the user. For those who want to beautify the photos, Face Beauty and Bokeh mode on the front and rear camera vivo V9 6GB is also more smooth and accurate. The introduction of gender, lighting, to the automatic face structure on the 6GB V9 also makes the photo with Face Beauty mode still natural. For those who want to get Vivo V9 6GB soon, the pre-order V9 latest series has been opened exclusively in e-commerce JD.id with prizes worth Rp 900,000 until July 5, 2018. Introduced at a price of Rp 4.299.000, smartphone sailing bezel-less 6.3 inch FullHD + FullViewTM This display can meet the needs of capturing various moments with a clear and stylish. Available in two color choices: Black and Red, consumers can also get Vivo V9 6GB at Super Selling Day or Phase physical sales, both in Lazada, AkuKaku and Shopee e-commerce; as well as in vivo partners' official and retail outlets as of July 6, 2018.